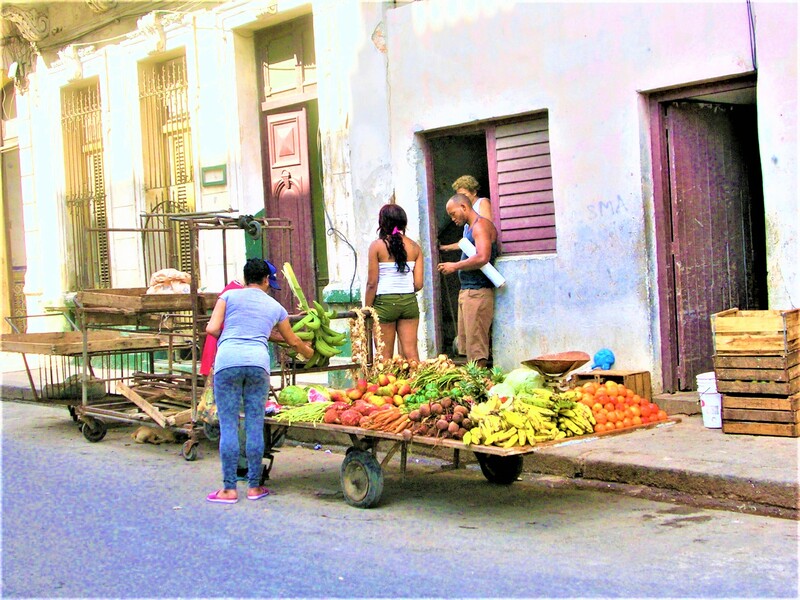 The objective of this Blog is to facilitate access to research resources and analyses from all relevant and useful sources, mainly on the economy of Cuba. It includes analyses and observations of the author, Arch Ritter, as well as hyper-links, abstracts, summaries, and commentaries relating to other research works from academic, governmental, media, non-governmental organizations and international institutions. Commentary, critique and discussion on any of the postings is most welcome. "... I hereby declare you Generation A, as much as the beginning of a series of astounding triumphs and failures as Adam and Eve were so long ago." Cuba is rapidly approaching a critical juncture, where a complete and generational change of leadership is unavoidable (between 2018 and 2021). The country and its Revolution is up against some unavoidable and complicated choices in the coming four years. With the rapidly approaching end of the Castro era, without any clear new leadership structure in sight, and with an apparently unsolvable economic crisis and rapidly shrinking confidence in the political power bloc particularly among the younger generations, a deep legitimacy crisis is looming. What are the principal challenges ahead, and how can and will they be solved? Cuba is rapidly approaching a critical juncture, as a complete and generational change of leadership seems inevitable between now and 2021. The country and its revolution will be facing a series of complex, unavoidable choices in the next four years. With the end of the ‘Castro era’ and no clear new leadership structure in sight, combined with an apparently unsolvable economic crisis and rapidly shrinking confidence in the political power bloc, particularly among the younger generations,1 a deep legitimacy crisis is looming. This study analyses some of the main challenges represented by the new international setting particularly concerning relations with the USA and the change from Barack Obama (2008–2016 to Donald J. Trump (2016) in the White House. 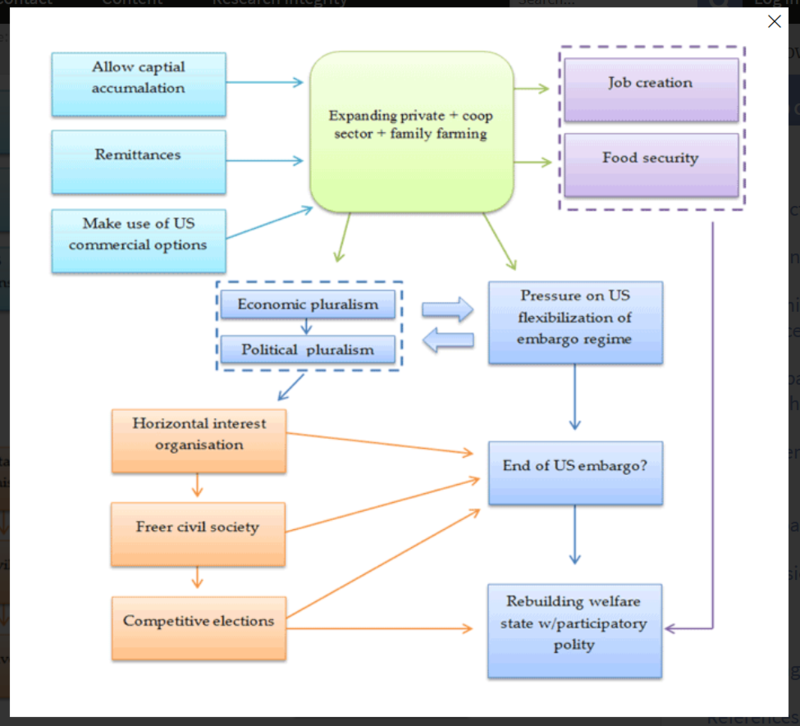 These issues include how the economic crisis is undermining the welfare state that was once the pride of the Cuban Revolution, and the political challenges that may ensue; and how the monolithic character of the Cuban power structure is being put to the test by the increasing differentiation of interests between the early winners and the early losers of the economic reforms. The study also indicates some of the dilemmas of post-totalitarian political transformation identified in the theoretical literature, and relates these to other similar processes. Finally, we present some paradigm choices facing the next generation of leaders, and then discuss how a game of power, hegemony and legitimacy may unfold in post-Castro Cuba. While the most likely outcome still seems to be the continuation of some type of authoritarian and neo-patrimonial system, it is also possible to imagine some key post-Castro decisions that could take the country in a more pluralistic and participatory direction – although President Trump’s return to confrontationalism is making that even less likely. The harsh choice may be between re-building legitimacy and reverting to a much more repressive system. Discussing political structures and their possible transformation is highly complicated regarding a system as opaque as that of Cuba, where there is no academic or media tradition of open analysis of power structures or ready access to reliable data. Such discussion may become quite speculative, as it is virtually impossible to underpin crucial observations about power relations with firm quantitative data – turning the choice of methodology towards qualitative analysis. Still, we believe it is worth putting together the available theoretical and empirical elements that may give indications about the future direction of a country that has played such a significant role in world politics and political/ideological discussions – a role quite out of proportion to its small size. Cuba offers a laboratory for the analysis of transformative politics. The information monopoly has been definitely broken in Cuba – although the information hegemony may still be in place (Hoffmann 2016). Young people, also party loyalists, encounter no problems in seeking alternative information and views about the outside world as well their own country, including about the root causes of the economic failure. This will have consequences for how the next generation of leaders will need to communicate with the populace, and take public opinion into account, if they want to build a new capital of legitimacy. Moreover, the Party’s social hegemony appears to be slipping away, particularly among younger Cubans who hardly care about what happens at a Party Congress or in other formal decision-making bodies. 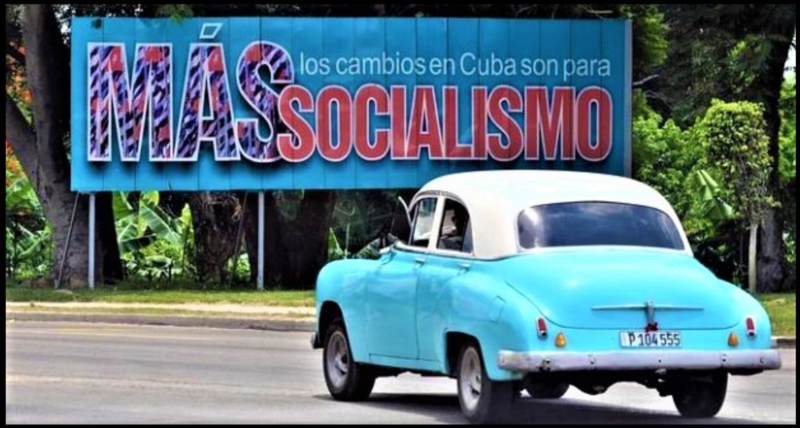 This may even mean an actual loss of absolute political power – how relevant, then, will the three documents of principle discussed at the 7th Party Congress and ‘supported’ by the mid-2017 session of the National Assembly will be for the future of Cuba? On the other hand, there seem to be no indications of counter-hegemonic forces developing, within or outside of party and state structures. Still, we should remain aware to the possibility that the looming ‘crisis of legitimacy’ in Cuba might become a ‘crisis of hegemony’ or of ‘authority’ (see Gramsci 1999; Anderson 1976). It is no simple matter to apply such concepts, originally developed for analysing social and class forces in early industrial Europe, to the transformation process of a post-totalitarian system or an authoritarian socialist system searching for alternatives. However, the alternative Gramscian concepts of a passive revolution vs. the creation of a counter-hegemonic bloc may still be relevant. In the former, the bourgeoisie (or nomenclature in the Cuban case) would allow certain demands by looking beyond its economic-political interests and allowing the forms of hegemony to change (typically in the way the Nordic model was conceived in the 1930s). This would imply that the Cuban power elite might have to look for a similar adaptation of its hegemonic bloc in order to meet the emerging legitimacy crisis, particularly after 2018. The alternative might well be a deep organic crisis, tempting new social forces to set about building a counter-hegemonic historical bloc, leading to what Gramsci called ‘creating the new’ (which in Cuba would be some kind of post-socialism), rather than ‘restoring the old’ through a passive revolution. One possible source of challenge to the existing hegemony of the Cuban political system would come from civil society, perhaps feeding on the growing self-confidence felt by private entrepreneurs as their critical economic role becomes more visible and recognised by the regime. ‘What is threatening to authoritarian regimes’, noted Przeworksi (1991: 54–55), ‘is not the breakdown of legitimacy but the organisation of counter-hegemony: collective projects for an alternative future. Only when collective alternatives are available does political choice become available to isolated citizens.’ Thus, according to Przeworski and building on the Gramsci concept of hegemony, the emergence of civil society organisations in itself becomes a relevant force for regime transformation only in a situation of falling legitimacy, if civil society organisations manage to organise a ‘counter-hegemonic bloc’. This has not yet happened in Cuba, nor is there any sign that it is about to happen. That being said, however, serious problems of legitimacy at a critical juncture may result in a new situation. Moreover, no negotiation scenario is yet on the table in Cuba. Linz and Stepan (1996), Przeworski (1991) and Saxonberg (2013) all introduce the issue of negotiations at specific points during post-totalitarian transformation. Przeworski sees the issue of alliance building between groups willing to negotiate on the part of the regime and civil society as decisive for the outcome of any negotiation: ‘visible splits in the power bloc indicate to the civil society that political space may have been opened for autonomous organization. Hence, popular mobilization and splits in the regime may feed on each other’ (1991: 57). Cuba has not yet arrived there: power-bloc splits are not evident, nor is there anything like a counterpart with which to negotiate. For that to happen, the combination of regime crisis –perhaps with the prospects of serious repression – and the emergence of a counter-hegemonic alternative would be required. It can only be speculated whether and under what circumstances such a situation might emerge. Transformation to a mixed economy with a more pluralist and participatory polity, and the reconstruction of a welfare state: a negotiated process towards some kind of social democratic system. As shown in Figure 1, we hold that a series of strategic decisions by the post-Castro generation of leaders in favour of more market-oriented economy is what might take Cuba in a less authoritarian direction, while simultaneously helping to rebuild the welfare state. Tres organizaciones opositoras cubanas que se habían propuesto nominar cerca de 550 candidatos independientes a delegados en las elecciones municipales del 26 de noviembre fracasaron en su propósito, admitieron este lunes sus directivos. “Ninguno ganó la nominación por la intervención de la policía política fundamentalmente, no solamente por la detención de las personas que se iban a postular, sino por su presencia proactiva en las asambleas”, dijo a Julio Antonio Aleaga, de la agrupación Candidatos por el Cambio. El proceso de postulación que terminó el 2 de noviembre se hace en asambleas de barrio, donde se proponen y aprueban a mano alzada los candidatos a delegado. Según la Comisión Electoral, se realizaron 60,870 propuestas para nominar 27,221 candidatos, entre los que se escogerán los 12,515 delegados en voto directo y secreto el día 26. La plataforma Otro 18 buscaba postular a 182 opositores, la agrupación Candidatos por el Cambio promovió a 306 y el Partido Autónomo Pjnero 60. Este es el inicio de un proceso electoral, primero municipal y luego general, que debe concluir con febrero de 2018 con la elección de un nuevo Parlamento y un presidente, que sustituirá a Raúl Castro. “Ahora mismo, en la situación que está el país, un posible cambio de gobierno, era muy difícil, porque además se vive en una dictadura, era muy difícil que pudieran ganar los candidatos independientes”, opinó Aleaga. Según Manuel Cuesta Morúa, de Otro 18, “no pudieron nominarse porque las autoridades desplegaron una batería de actos violatorios en todos los casos de la Ley Electoral y de la Constitución, que impidieron que estas personas pudieran ser nominadas”. Citó detenciones temporales, procesamientos jurídicos por diferentes causas, intimidaciones, cambios de fecha y hora de las asambleas y otras “artimañas”. El intento de cambiar la situación política cubana participando en el juego electoral oficial es rechazada por parte de la disidencia. “La oposición se divide ahora muy claramente en los que no creen en el proceso electoral y los que creen que se debe participar en los procesos electorales como forma de modernizar el país”, dijo Aleaga. Pero ambos dirigentes sostienen que a pesar del fracaso en nominar, el hecho de participar significa avances. “No es necesariamente una derrota de la estrategia, porque para nosotros la estrategia tenía tres puntos fundamentales: primero legitimarnos frente a la ley, luego frente a la sociedad y tres, obviamente, tratar de lograr que algún candidato pudiera competir”, dijo Cuesta. 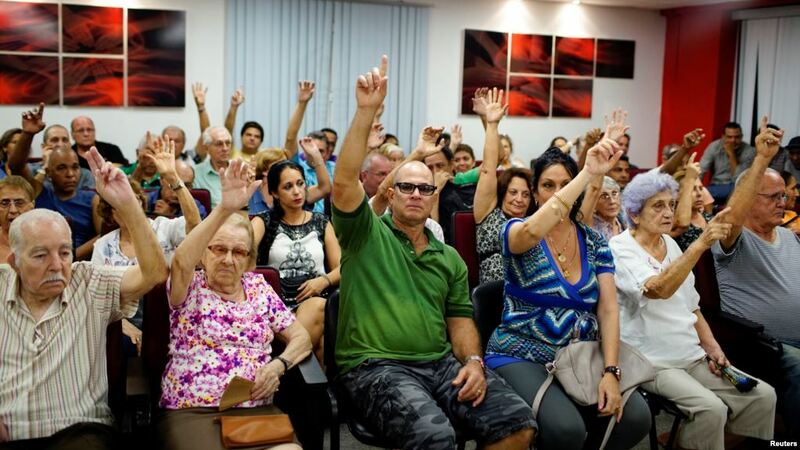 Nomination meeting for candidates for Municipal Assembly, Havana. REGULATIONS ON TRAVEL AND TRADE WILL LIKELY HAVE LITTLE IMPACT ON CUBA’S GOVERNMENT, HURTING ORDINARY CUBANS INSTEAD. After two years of restored diplomatic ties, new U.S. regulations on Cuba are bringing back a thicket of travel, financial and trade restrictions – and a tougher stance toward the island. The goal of these restrictions, according to U.S. President Donald Trump, is to starve the Cuban government of money from travel, remittances and commercial ties. But the real victims of the new sanctions will be U.S. residents whose right to travel is curtailed, Cuban families who depend on remittances to survive, the struggling Cuban private sector, and U.S. businesses that will face an even greater disadvantage competing with Asian and European firms. The regulations issued by the Treasury and Commerce Departments on Nov. 8 re-impose significant limits on educational travel to Cuba that former President Barack Obama relaxed. They also redefine “prohibited officials of the Government of Cuba” expansively, potentially cutting off remittances to hundreds of thousands of Cuban families. Finally, they prohibit anyone subject to U.S. jurisdiction from engaging in any “direct financial transactions” with entities controlled by the Cuban military or security forces that “disproportionately benefits” those entities. All this marks the implementation of new sanctions Trump announced on June 16, 2017, at a Cuban American rally in Miami. The sanctions were mandated by the National Security Presidential Memorandum the president signed onstage, and included several major changes to the Cuban Assets Control Regulations (CACR), which spell out the operational details of the U.S. embargo. In January 2011, Obama relaxed restrictions that former President George W. Bush had imposed on educational exchanges with Cuba – restrictions so onerous they eliminated most U.S. study abroad programs. Trump’s new regulations re-impose the Bush era restrictions, albeit with some exceptions for students accompanied by a representative of their U.S. academic institution. 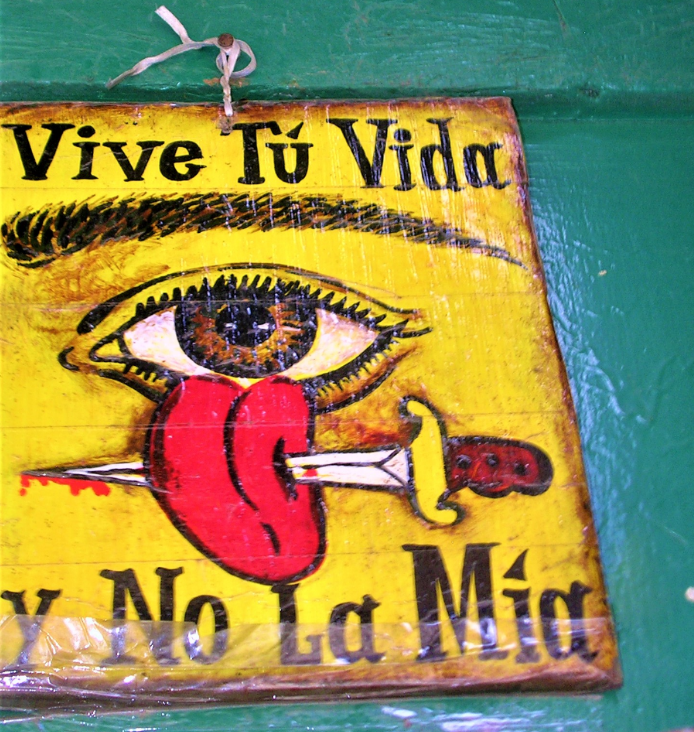 When combined with the State Department’s Sept. 29 travel warning advising people not to visit Cuba at all because of the injuries suffered by two dozen personnel at the U.S. embassy, the new restrictions on educational travel could drastically reduce U.S. study abroad in Cuba, which had been on the upswing since 2014. U.S. visitors traveling under the “people-to-people” educational license (for educational travel not leading to an academic degree) can no longer travel on their own. They must now travel with organized groups under the auspices of a U.S.-based, licensed travel provider. Obama had lifted the group travel requirement in March 2016, providing an immediate boon to Cuba’s emerging private sector because individual travelers are much more likely to stay at private B&Bs (casas particulares), eat in private restaurants (paladares), take private taxis, and hire private guides. Most organized groups are too large for private rentals and thus have to be booked into government-owned hotels. Consequently, although Trump’s policy purports to boost Cuba’s private sector, the prohibition on individualized people-to-people travel hits the private sector hardest. Although Cuban private businesses may suffer, the new travel regulations are not likely to put a huge dent in the number of U.S. visitors. The volume of travelers from the United States jumped dramatically in 2015, up 77 percent over 2014, after Obama and Cuba’s President Raúl Castro announced their intention to normalize relations in December 2014. This surge occurred before Obama ended the prohibition on individualized “people-to-people” travel. U.S. visitors are far more likely to be deterred by the State Department’s travel warning. Even then, a significant decline in U.S. visitors will not do serious damage to the Cuban tourist industry, which hosted four million foreign visitors in 2016 and is on track to host 4.7 million this year, of which only seven percent were non-Cuban American U.S. visitors. The new regulations redefine “prohibited officials of the Government of Cuba” to include all employees of the Ministry of the Revolutionary Armed Forces and Ministry of the Interior, thousands of ordinary Cubans who volunteer as leaders of their local Committees for the Defense of the Revolution, as well as senior government and party officials. The previous regulatory definition of prohibited officials, put into place by Obama in October 2016, was limited to members of the Council of Ministers and flag officers of the Revolutionary Armed Forces. The new definition encompasses hundreds of thousands of people, since the armed forces manage a significant number of commercial enterprises such as the Gaviota hotel chain and TRD Caribe retail stores, especially in the fast-growing tourism sector. Cubans who are “prohibited” are not allowed to receive payments from U.S. nationals. That includes remittances and gift packages (Cuban Assets Control Regulations, §515.570), so the new regulations could potentially deprive hundreds of thousands of Cuban families of support from their relatives abroad. However, the actual impact is harder to predict. There is no way to enforce this prohibition since the U.S. government does not have a list of all the people covered in the expanded definition. Moreover, Cuban Americans can carry funds and gift packages to family when they travel or can wire funds through third countries, just as they did in 1994 when former U.S. President Bill Clinton tried, unsuccessfully, to cut off remittances to punish Cuba for the balsero (rafters) migration crisis. Apart from whether the new prohibition proves effective, it would seem to run counter to the purported aim of Trump’s policy to empower the Cuban people by directing U.S. funds to them, rather than to the Cuban government. Remittances are by far best way to do that because the dollars go directly to family on the island. The most complex regulatory change is the prohibition on engaging in any “direct financial transactions” with businesses controlled by the Cuban military or security forces if they “disproportionately benefit” those forces. This is a potentially significant prohibition because the Cuban armed forces ministry administers commercial holding companies involved in everything from banking and port management to hotels and retail sales. The presence of military enterprises is greatest in the tourist sector, where both U.S. visitors and U.S. companies are most likely to encounter them. The U.S. Department of State was tasked with creating a list of prohibited enterprises, which it released along with the new regulations. The list includes 180 entities, 58 percent of which are in the tourist sector, including 84 hotels – by far the largest category of businesses included. Some of the entities listed are holding companies for hundreds of retail outlets, but U.S. travelers and companies can still do business with subsidiaries of prohibited entities so long as the subsidiaries themselves are not specifically listed. Quite reasonably, the State Department took the view that it could not expect travelers to know which retail outlets might be subsidiaries of prohibited entities unless they were specifically named. Senator Marco Rubio (R-Fla.) and Representative Mario Díaz-Balart (R-Fla.), who were the intellectual authors of the ban on transactions with military-linked enterprises, complained that the State Department’s list was not inclusive enough because “bureaucrats” were “refusing” to carry out Trump’s policy. Rubio wanted to see the entire Cuban tourist sector put off-limits because the Minister of Tourism, Manuel Marrero Cruz, is a former military officer. According to Rubio, that means the entire sector is controlled by the armed forces. In truth, the impact of these sanctions on commercial relations with Cuba is likely to be limited. The Cuban government, adept at coping with U.S. hostility for the past half century, may feel the pinch, but it can look elsewhere for trade partners and tourists. Also, in order to avoid disrupting ongoing business relationships, the new regulations exempt existing contracts from the prohibition on doing business with military-linked enterprises. So, for example, Marriott-Starwood Hotels’ contract to manage hotels owned by holding companies administered by the armed forces ministry is not affected by the new regulations. Moreover, even future contracts will be allowed with military-linked businesses involving ports, airports, and telecommunications, which are the three sectors in which most U.S. businesses (cruise ship lines, airlines, and cell phone companies) now operate. On balance, the regulatory burden falls most heavily on U.S. academic institutions, whose study abroad programs in Cuba will be curtailed; on U.S. travelers who can no longer travel by themselves on a people-to-people educational license; on Cuban-Americans whose families on the island who will no longer be eligible to receive remittances and gift packages; and on U.S. businesses that may want to sell goods to Cuba in sectors where their counterparts are commercial enterprises managed by the armed forces ministry. The Cubans who will suffer most are small business owners, suppliers, and employees who cater to individual U.S. travelers; employees of state firms managed by the armed forces ministry and their families, who may lose remittances and gifts; and Cubans who might have found employment with U.S. companies whose potential business deals are now blocked. The Cuban state will suffer only marginally from Trump’s new sanctions – certainly not enough to force it into the sorts of concessions Washington demands. World Politics Review, October 17, 2017. On Nov. 26, Cubans will go to the polls to elect delegates to 168 municipal assemblies, the first step in an electoral process that will culminate next February when the National Assembly, Cuba’s parliament, will select a new president. In 2013, when Raul Castro pledged not to seek a third term, he also imposed a two-term limit for all senior government and Communist Party leadership positions. That means the succession will replace not only Castro but almost all the remaining members of the “historical generation” who fought to overthrow Fulgencio Batista’s dictatorship in 1959. The changing of the guard comes at a delicate political moment. Castro’s ambitious economic reform program, the “updating” of the economy, is still a work in progress and has yet to significantly raise the standard of living of most Cubans. Moreover, it is encountering resistance from state and party bureaucrats who are loath to lose control over the levers of economic power and the perks those provide. The economy has also been struggling because of declining oil shipments from Venezuela, which sells oil to Cuba at subsidized prices, helping to ease Cuba’s chronic shortage of hard currency. The political and economic chaos engulfing Venezuela has caused oil production to decline, and shipments to Cuba are running 13 percent below last year and 37 percent below their peak in 2008. The resulting energy shortage has forced Cuba to impose drastic conservation measures and pushed the economy into a mild recession last year. In September, Cuba’s economic woes were exacerbated when Hurricane Irma came ashore, inflicting several billion dollars’ worth of damage as it tracked along the north coast before turning toward the Florida Keys. The storm hit some of Cuba’s most lucrative tourist resorts, cutting into the one sector of the economy that has enjoyed sustained growth in recent years. 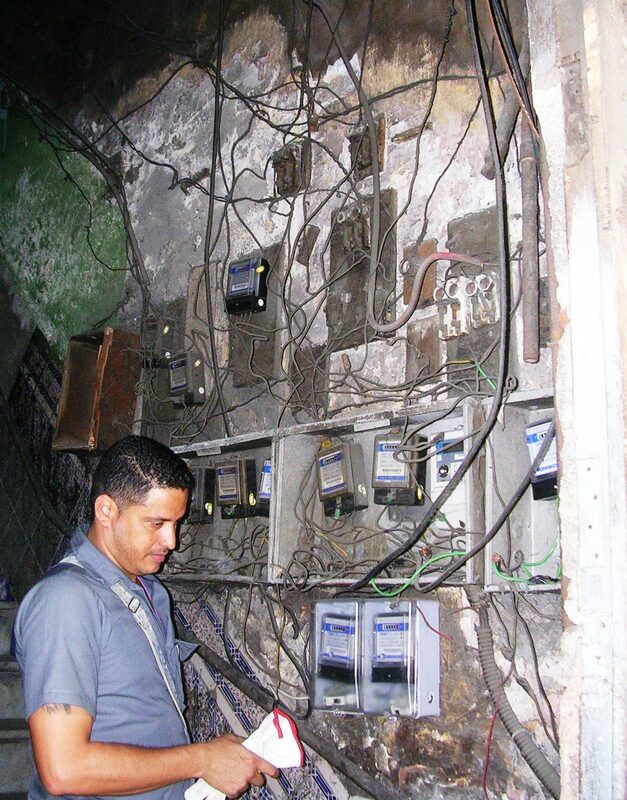 Most of the major hotels predicted they would reopen for business quickly, but the storm did enormous damage to the power grid, leaving large swaths of central Cuba in darkness. Popular discontent over the economy and impatience with the slow pace of improvement are both running high. In an independent opinion poll taken in late 2016, 46 percent of Cubans rated the nation’s economic performance as poor or very poor, 35 percent rated it as fair, and only 13 percent rated it as good or excellent. Solid majorities reported not seeing much economic progress in recent years for the country or themselves, and they had low expectations for the future. The economy is not Cubans’ only source of anxiety. With the election of Donald Trump, Havana’s relations with Washington entered a period of uncertainty. In his speech to Cuban Americans on June 16 in Miami, Trump blasted the Cuban government as a murderous dictatorship, echoing the Cold War rhetoric of regime change. Although the new economic sanctions Trump imposed were surprisingly mild—the result of intense lobbying by the U.S. business community—the prospects for improved relations and expanded commercial ties look dim in the near term. Secretary of State Rex Tillerson’s decision to withdraw nonessential from the U.S. embassy in Havana in the wake of mysterious health problems among nearly two dozen staff and family members, the expulsion of most Cuban diplomats from Washington, and the State Department’s decision to issue a travel advisory warning U.S. residents not to travel to Cuba, pushed relations to a low point not seen since December 2014, when then-President Barack Obama’s normalization process began. Cuba’s new post-Castro leaders will therefore face an imposing array of problems, and they will have to answer to a population that has become more vocal in expressing its discontent. The expansion of internet access, the ability of Cubans to travel abroad without state permission and Raul Castro’s own calls for more open debate about Cuba’s problems have fueled an increasingly robust public sphere. 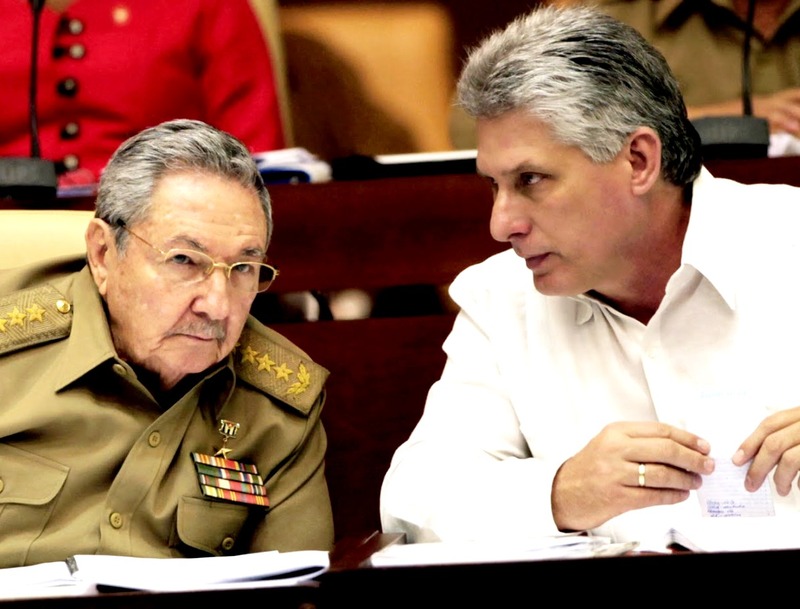 As the leadership transition gets under way, First Vice President Miguel Diaz-Canel is the likely successor to Raul Castro as president, but little is known about this party veteran’s real views. Until recently, he kept a low profile, but even as his public visibility has increased, his speeches have simply reiterated well established policy, providing little insight into his own thinking. Why economic opening on the island has been slower – and less effective – than many hoped. When Raúl Castro steps down as Cuba’s president in February 2018, he will hand off to his successor the unfinished task of reforming the economy. It is Cuba’s most urgent need and, at the same time, an increasingly controversial one. Castro succeeded his brother Fidel as president in 2008 amid serious structural economic problems on the island. State salaries were inadequate to cover basic needs, productivity in state enterprises was weak, and foreign reserves were chronically low. Agricultural production was so poor that Cuba had to import 80 percent of its food at a cost of $2 billion annually. The dual currency and exchange rate system produced severe distortions in the labor market and external sector. The Guidelines were a blueprint for a new economic policy in which the state’s role would be restricted to strategic sectors, leaving the rest to private enterprise and cooperatives. Decision-making would be decentralized to give managers greater authority, and state enterprises would be required to operate profitably or close. Wage incentives would reward productivity, and market mechanisms would balance supply and demand. Foreign investment would be actively sought. The social programs emblematic of the revolution – free health care and education – would continue, and no one would be left behind. The pace of change had been intentionally deliberate – “without haste, but without pause,” in Castro’s oft-repeated phrase. But recent signals indicate the reforms may be stalled and that some of Cuba’s leaders are having doubts. At the Seventh Communist Party Congress in 2016, Castro reported that only 21 percent of the guidelines adopted in 2011 had been fully implemented. The process of rationalizing state enterprises, which produce about three-quarters of GDP, has been especially slow. In April 2010, Castro noted that a million state sector workers – 20 percent of the labor force – were employed unproductively. By 2015, the state labor force had been reduced by 718,000 people and 15 percent of state enterprises had been closed. Nevertheless, productivity remained low and a significant number of firms still operated in deficit. As workers were laid off from state enterprises, the private sector was expected to provide alternative employment. Although self-employment (cuentapropismo) was first legalized in the 1980s, it was not until Castro’s new economic policy that the state accepted the private businesses and cooperatives as a permanent part the economy. By 2017, some 543,000 people had self-employment licenses, operating a variety of small businesses. The Seventh Party Congress promised to give private businesses legal status, but the National Assembly has yet to make good on it. Instead, the pendulum has swung in the opposite direction. In July 2017, Castro criticized the private sector for tax evasion and black-marketeering, though he insisted that private enterprise would remain a permanent part of the economic landscape. On Aug. 1, however, the government suspended the issuance of new licenses for some private occupations, including the most popular – private restaurants (paladares) and bed and breakfast rentals (casas particulares). A number of successful, high-profile businesses were closed for violating their licenses. More ominously, in a private Communist Party meeting, First Vice President Miguel Díaz-Canel, Castro’s likely successor, accused some private businesses of being counter-revolutionary. The most difficult task that Cuba’s new president will inherit is the unification of the dual currency and exchange rates. State sector employees are paid an average monthly wage of 779 Cuban pesos (CUP), which is insufficient for a decent standard of living. Convertible pesos (CUC) exchange 1-to-1 with the U.S. dollar and 24-to-1 with the CUP. Some Cubans have access to CUC through remittances or through work in the tourist sector (from tips), the private sector, in joint ventures, or work abroad. The imbalance drives highly skilled professionals out of the state sector and into low-skill jobs paying higher wages in CUCs – what Cubans call the “inverted pyramid.” Among state enterprises, half a dozen different exchange rates between CUPs and CUCs are in effect, ranging from 1-to-1 to 10-to-1, creating disincentives to export at a time when Cuba suffers from chronic balance of payments shortfalls and inadequate foreign reserves. The government has been promising monetary unification since 2013, but implementation keeps getting delayed. The task is complex, and will reverberate through the economy with effects that are not entirely predictable. The government has little margin for error; it has no significant foreign reserves to cushion dislocations and no access to assistance from international financial institutions. Moreover, Cuba currently faces other serious economic challenges: the decline in shipments of cheap oil from Venezuela; the unprecedented damage from Hurricane Irma; and the unpredictability of relations with the United States. Finally, while the reform process has had limited success stimulating growth, it has produced a noticeable rise in inequality, price increases that outpace wage growth, and rumblings of political discontent. When food prices surged in 2015-16, the state stepped in, imposing price controls. It did the same to taxi drivers, some of whom resisted by stopping work. The message, Castro made clear, was that markets had a role to play in the new economic policy, but a strictly regulated one, subordinate to political exigencies. Formidable challenges await Cuba’s new president. He or she will have to hold together a shaky elite coalition behind the economic reform process, push the needed changes through a reluctant bureaucracy while maintaining economic stability, and simultaneously navigate the political shoals of popular discontent over a stagnant standard of living and growing inequality. At stake is nothing less than the future of Cuban socialism. Cuba’s unsung heroes! Professional and amateur car mechanics, keeping the economy ticking over. Maintenance and repairs: urgent everywhere. 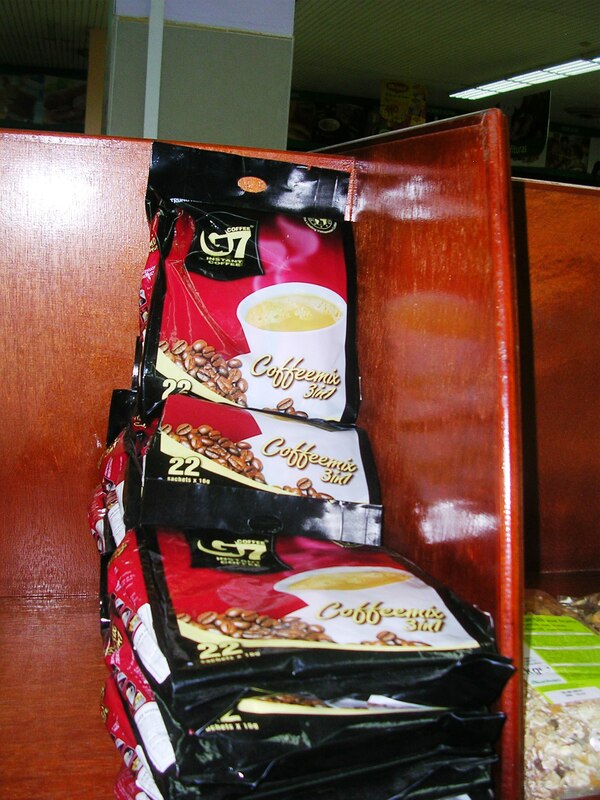 Coffee imports from Vietnam in a quasi-“dollar” store. Cuba provided technical assistance to Vietnam’s coffee sector in the 1970s. Now Vietnam is the world’s second largest producer while Cuba’s coffee production has plummeted. IS TRUMP USING ‘HEALTH ATTACKS’ ON US DIPLOMATS IN HAVANA AS AN EXCUSE TO PUNISH CUBA? 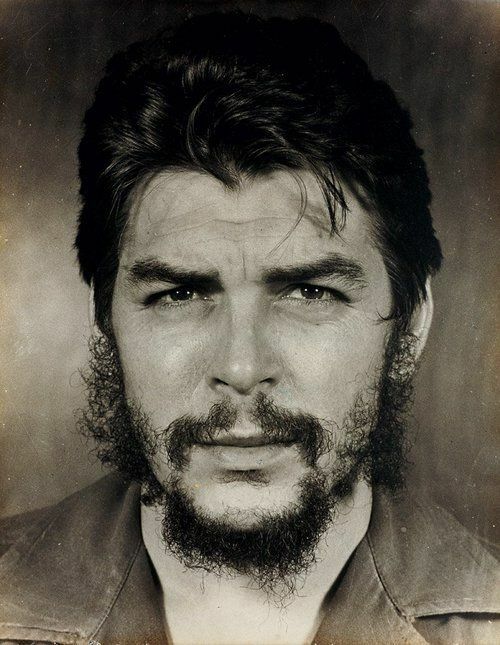 Original article: An excuse to punish Cuba? In a blow to diplomatic relations with Cuba, U.S. Secretary of State Rex Tillerson on Oct. 3 ejected 15 Cuban diplomats from the United States. 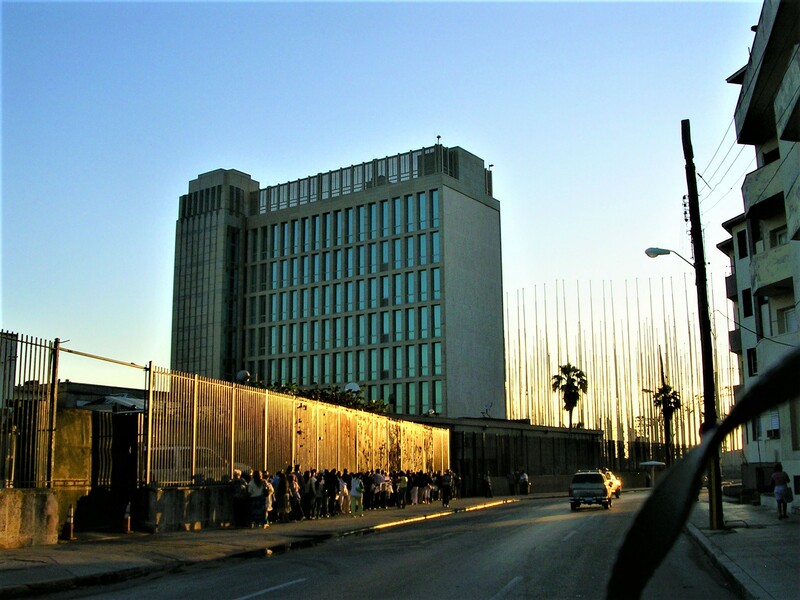 The expulsion follows his withdrawal of most U.S. personnel from the embassy in Havana after 22 American diplomats and family members there suffered unexplained health problems. Last November, some U.S. personnel in Havana began experiencing a range of symptoms, including hearing impairment, nausea, dizziness and mild cognitive impairment. The people affected first and most severely were intelligence officers, but later victims held a variety of positions in the U.S. Embassy. Several Canadian diplomats were also affected. The United States informed the Cuban government of these incidents on Feb. 17, 2017. Four days later, Cuban President Raúl Castro met with then U.S. Charge d’Affaires Jeffrey DeLaurentis and, pledging full cooperation, invited the FBI to investigate. So far, though, the investigation has been unable to determine the perpetrator or motivebehind the mysterious attacks. Nearly a year after the first incidents, nobody even knows how the attacks were carried out. U.S. officials initially blamed some sort of sophisticated sonic weapon, but scientists have questioned whether sound waves alone could have produced the reported symptoms. In this context, withdrawing U.S. personnel is arguably a reasonable precaution. But, in my view, expelling Cuban diplomats despite Cuba’s cooperation in the investigation is baseless and counterproductive. During the 40 years I’ve studied U.S.-Cuban relations, domestic politics, rather than foreign policy interests, have often driven U.S. policy, and I believe that’s what is happening now. State Department officials doubt that the Cuban government is behind the incidents. No evidence has emerged implicating Cuban officials, and Cuba is cooperating with the investigation. When the diplomats’ health problems were first reported publicly in August 2017, Sen. Marco Rubio, Republican of Florida and a vociferous opponent of normalizing relations, demanded that President Trump close the U.S. Embassy and expel all Cuban diplomats from the United States. Instead, on Friday, Sept. 29, Tillerson announced the withdrawal of nonessential personnel, suspended visa processing for Cubans seeking to enter the U.S. and issued a travel warning advising Americans not to travel to Cuba. In a press release, Rubio denounced his actions as “weak, unacceptable and outrageous,” and took to Twitter to demand that Cuban envoys be expelled. A few days later, on Oct. 3, Tillerson finally did what Rubio demanded. Cuban American U.S. Rep. Ileana Ros-Lehtinen, also a Republican of Florida and an opponent of Obama’s normalization process, pronounced herself “pleased as punch” at the expulsions. This was not what U.S. diplomats wanted. The American Foreign Service Association, the union representing Foreign Service officers, opposed the withdrawal from Havana as contrary to U.S. interests. “We have a mission to do and we’re used to operating around the globe with serious health risks,” association president Barbara Stephenson told the news network CNN. The expulsion of its diplomats isn’t the only punishment Washington has inflicted on Cuba. Some half a million Cubans depend on tourism for their livelihood, and it contributes about 10 percent to Cuba’s gross domestic product. The travel warning will deter U.S. visitors from going to the island, hurting the economy at a time when it is already suffering from the damage done by Hurricane Irma. The sweeping and categorical nature of the travel warning is also unwarranted, considering that the State Department believes U.S. diplomats were the targets of “specific attacks” and no U.S. visitors have suffered any injury. Canada, by contrast, issued no travel advisory after its personnel were injured, nor did its government withdraw Canadian diplomats from Havana or expel their Cuban counterparts from Ottawa. Finally, by temporarily suspending visa processing for Cubans seeking to enter the United States, Washington risks violating the 1994 migration accord, which commits the United States to accept a minimum of 20,000 Cuban immigrants annually. That commitment will be almost impossible to meet now. Predictably, as the United States has ratcheted up these punishments, the tone of Cuba’s response has become defiant. In Granma, Cuba’s Communist Party newspaper, the Foreign Ministry on Oct. 3 condemned the expulsion of its diplomats as “unfounded and unacceptable,” and rejected “categorically” any Cuban responsibility for the incidents. Noting the absence of evidence as to perpetrator or means, Cuba for the first time questioned whether any attacks had even occurred. The Trump administration has let a legitimate concern over the safety of U.S. diplomats become an excuse for reversing key elements of Obama’s policy of engagement, caving in to the political demands of those who, like Rubio and Ros-Lehtinen, opposed normalizing relations with Cuba from the outset. By so doing, I think the administration has fallen into a trap. Whoever is responsible for the attacks on U.S. diplomats in Havana almost certainly did it to disrupt the rapprochement between the United States and Cuba. The U.S. response is handing that shadowy adversary a victory. GABRIEL and Leo have little in common. Gabriel makes 576 Cuban pesos ($23) a month as a maintenance man in a hospital. Leo runs a private company with revenues of $20,000 a month and 11 full-time employees. But both have cause for complaint. For Gabriel it is the meagre subsistence that his salary affords. 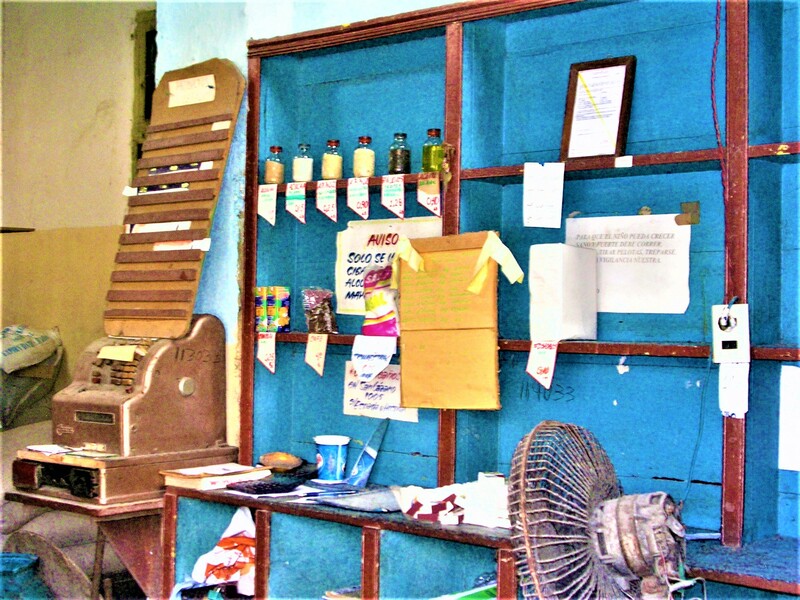 In a dimly lit minimá (mini-mall) in Havana he shows what a ration book entitles one person to buy per month: it includes a small bag of coffee, a half-bottle of cooking oil and five pounds of rice. The provisions cost next to nothing (rice is one cent per pound) but are not enough. Cubans have to buy extra in the “free market”, where rice costs 20 times as much. Leo (not his real name) has different gripes. Cuba does not manufacture the inputs he needs or permit enterprises like his to import them. He travels abroad two or three times a month to get them anyway. It takes six to eight hours to pack his suitcases in such a way that customs officials don’t spot the clandestine goods. “You feel like you’re moving cocaine,” he says. Making things easier for entrepreneurs like Leo would ultimately help people like Gabriel by encouraging the creation of better jobs, but Cuba’s socialist government does not see it that way. In August it announced that it will stop issuing new licences in two dozen of the 201 trades in which private enterprise is permitted. The frozen professions include running restaurants, renting out rooms to tourists, repairing electronic devices and teaching music. This does not end Cuba’s experiment with capitalism. Most of the 600,000 cuentapropistas (self-employed workers), including restaurateurs, hoteliers and so on, will be able to carry on as before. But the government mistrusts them. Their prosperity provokes envy among poorer Cubans. Their independent-mindedness could one day become dissent. Raúl Castro, the country’s president, recently railed against “illegalities and other irregularities”, including tax evasion, committed by cuentapropistas. He did not admit that kooky government restrictions make them inevitable. The government “fights wealth, not poverty”, laments one entrepreneur. The clampdown on capitalism comes at a fraught time for Cuba. Mr Castro is due to step down as president in February. That will end nearly 60 years of autocratic rule by him and his elder brother, Fidel, who led Cuba’s revolution in 1959. The next president will probably have no memory of that event. Relations with the United States, which under Barack Obama eased its economic embargo and restored diplomatic relations, have taken a nasty turn. President Donald Trump plans to make it more difficult for Americans to visit the island. Reports of mysterious “sonic attacks” on American diplomats in Havana have further raised tensions. Hurricane Irma, which struck in early September, killed at least ten people, laid waste to some of Cuba’s most popular beach resorts and briefly knocked out the country’s entire power system. With a budget deficit expected to reach 12% of GDP this year, the government has little money to spend on reconstruction. These are blows to an economy that was already in terrible shape. Cuba’s favourite economic stratagem—extracting subsidies from left-wing allies—has had its day. Venezuela, which replaced the Soviet Union as its patron, is in even worse shape than Cuba. Their barter trade—Venezuelan oil in exchange for the services of Cuban doctors and other professionals—is shrinking. Trade between the two countries has dropped from $8.5bn in 2012 to $2.2bn last year. 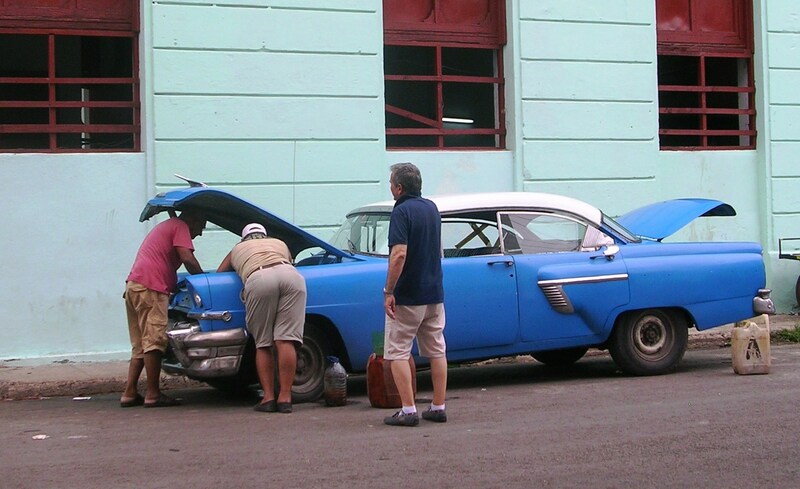 Cuba has had to buy more fuel at full price on the international market. Despite a boom in tourism, its revenues from services, including medical ones, have been declining since 2013. Paying for it is becoming harder. In July the economy minister, Ricardo Cabrisas, told the national assembly that the financial squeeze would reduce imports by $1.5bn in 2017. What appears in shops often depends on which of Cuba’s suppliers are willing to wait for payment. GDP shrank by 0.9% in real terms in 2016. Irma and the drop in imports condemn the economy to another bad year in 2017. The government does not know what to do. One answer is to encourage foreign investment, but the government insists on pulling investors into a goo of bureaucracy. Multiple ministries must sign off on every transaction; officials decide such matters as how many litres of diesel will be needed for delivery trucks; investors cannot freely send profits home. 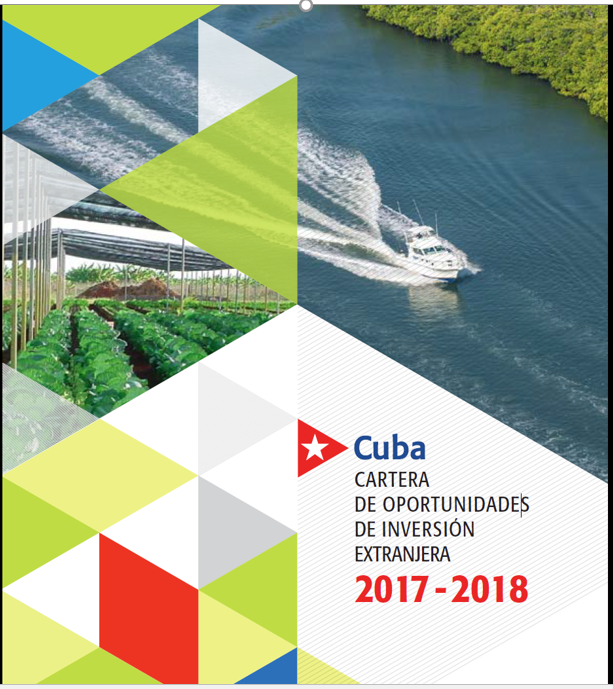 Between March 2014 and November 2016 Cuba attracted $1.3bn of foreign investment, less than a quarter of its target. Faced with a stalled economy and the threat of shortages, the government is trying harder to woo investors. It has agreed to let food companies, for example, repatriate some of their profits. But anything more daring seems a distant prospect. Cuentapropistaslike Leo are waiting impatiently for a planned law on small- and medium-sized enterprises. That would allow them to incorporate and do other sorts of things that normal companies do. It will not be passed anytime soon, says Omar Everleny, a Cuban economist. An even bigger step would be a reform of Cuba’s dual-currency system, which makes state-owned firms uncompetitive, keeps salaries in the state sector at miserable levels and distorts prices throughout the economy. Cuban pesos circulate alongside “convertible pesos” (CUC), which are worth about a dollar. Although for individuals (including tourists) the exchange rate between Cuban pesos and CUC is 24 to one, for state-owned enterprises and other public bodies it is one to one. For those entities, which account for the bulk of the economy, the Cuban peso is thus grossly overvalued. 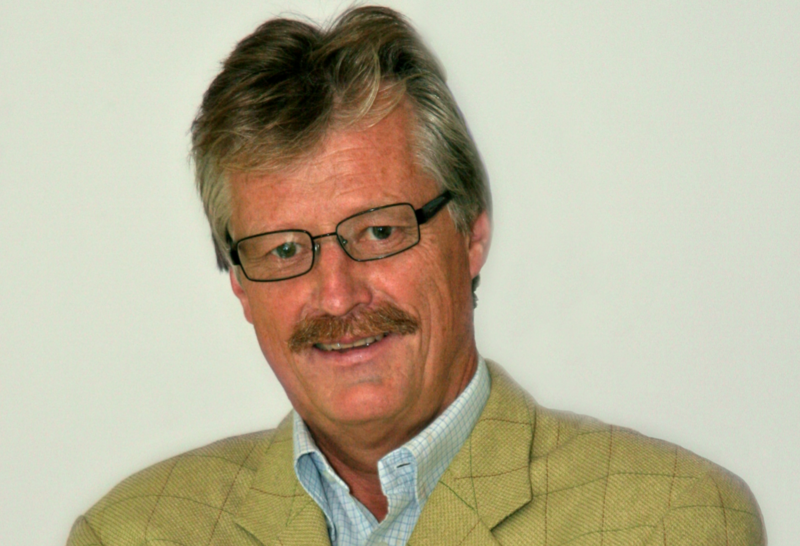 This delivers a massive subsidy to importers and punishes exporters. A devaluation of the Cuban peso for state firms is necessary for the economy to function properly. But it would bankrupt many, throw people out of work and spark inflation. Countries attempting such a devaluation usually look for outside help. But, because of American opposition, Cuba cannot join the IMF or World Bank, among the main sources of aid. Fixing the currency system is a “precondition for further liberalisation”, says Emily Morris, an economist at University College London. It is unlikely to happen while Cuba is in the throes of choosing a new leader. The process has sharpened struggles between reformers and conservatives within the government. Mr Trump’s belligerence has probably helped the latter. Most Cuba-watchers had identified Miguel Díaz-Canel, the first vice-president and Mr Castro’s probable successor, as a liberal by Cuban standards. But that was before a videotape of him addressing Communist Party members became public in August. 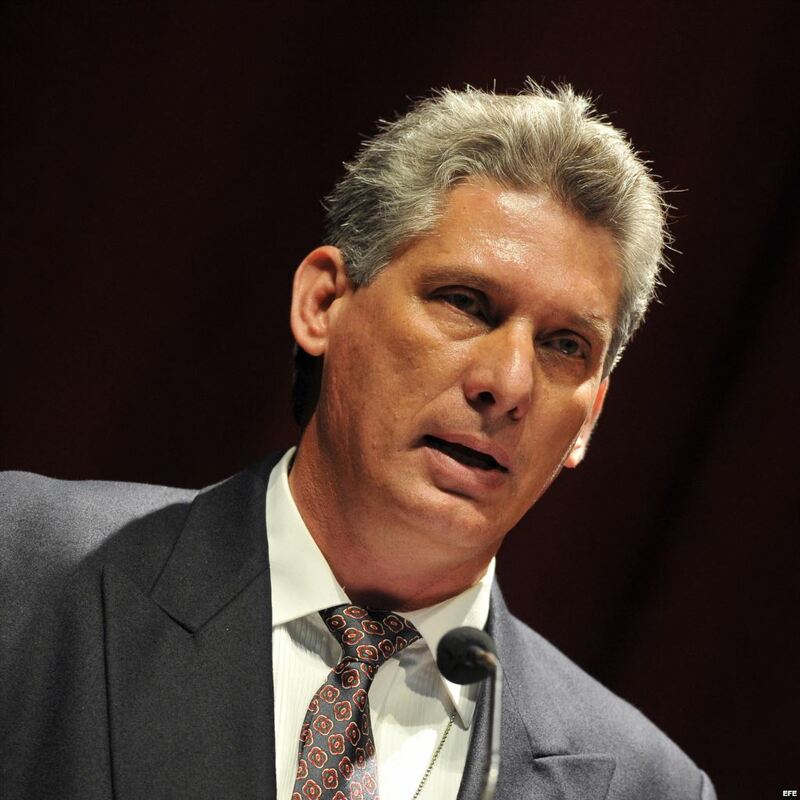 In it, Mr Díaz-Canel accused the United States of plotting the “political and economic conquest” of Cuba and lashed out at media critical of the regime. Perhaps he was just pandering to conservatives to improve his chances to succeed Mr Castro. If those are his true opinions, that is bad news for Leo and Gabriel.